Second release from the videos which resulted from the Budapest training on Digital Story Telling. 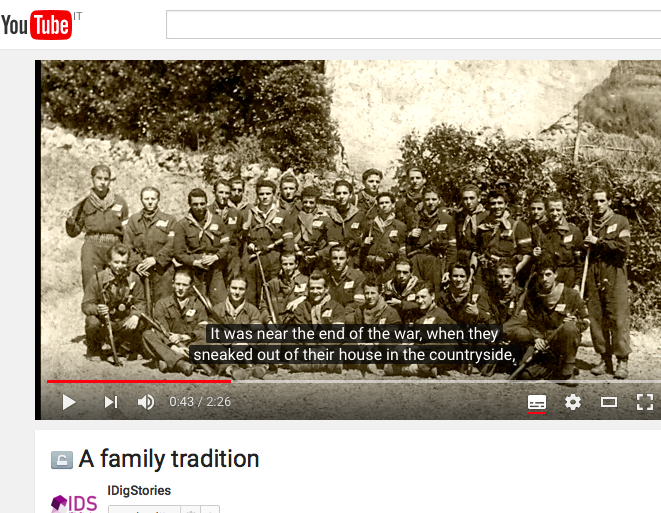 The video was produced by Anna Ponte, staff member of Diciannove s.c.
A family tradition is a familiar memory, a delicate story who brings us back to the WWII and the fascist regime in Italy. It ‘s a digital story about courage, resourcefulness, endurance. It is also a story of fear, love, familiar warmth, and liberation. It is a family story that shows how the big story is actually made up of many, thousands, of small stories. Anna's video enlighten the educational value of the Digital Story Telling method, that turns a story into History, passing values between generations. 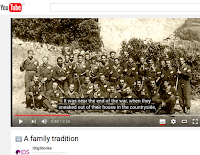 A family tradition is available on the iDigStories dedicated youtube channel here. The videos is licensed under Creative Commons Attribution-ShareAlike 4.0 to favor a free and horizontal share.